Heading to Indonesia soon? Make the most out of your trip with these 10 best things to do in Bali. Bali is one of the most popular travel destinations in the world. And it's easy to see why! This Indonesian island -- which is also known as the "Island of the Gods" -- is drop dead beautiful. It is the most popular island holiday destination in the Indonesian archipelago. In fact, tourism-related business makes up 80 percent of Bali's economy. And that might be because there is such a variety of incredible things to do in Bali. You can spend days getting to know the island's ancient culture. Take a tour or lead yourself through Bali's exotic temples and palaces. Or you can trek through the jungle and gawk over the towering volcanoes. But if neither of those options suit your fancy, try spending a day lying out by a beach side resort. Long story short: Bali, Indonesia has scenery and activities for every type of traveler. So to help you start researching your trip, here at the 10 best things to do in Bali. 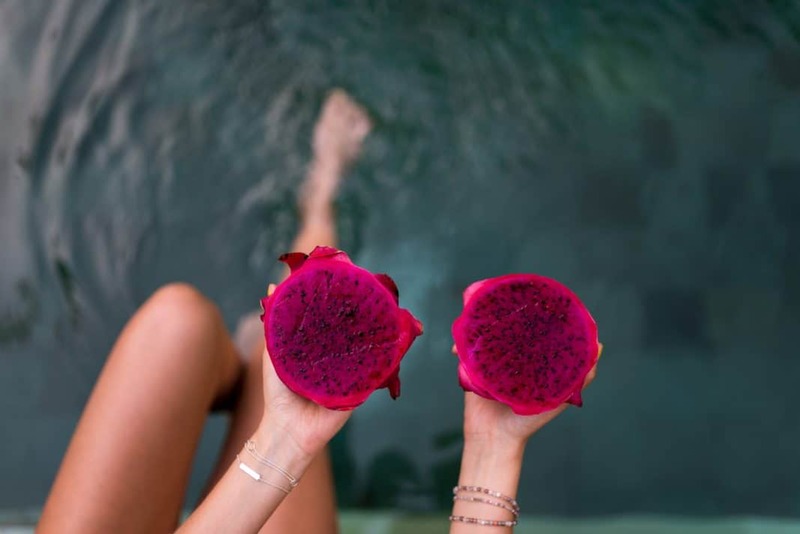 Before we get on to the fun and exciting things to do in Bali, let's talk a bit about the island. Bali's history began in 2000 BCE. 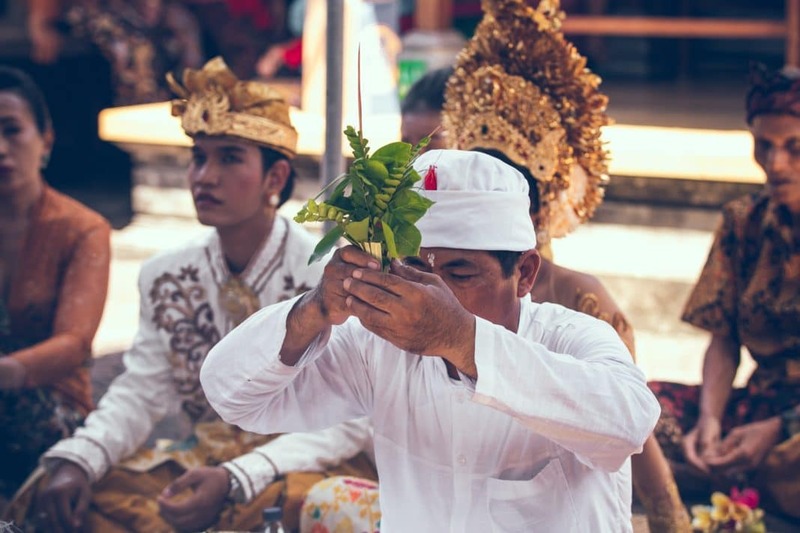 Over the years Bali's culture has strongly been influenced by Indian, Chinese, and particularly Hindu culture. The island's gorgeous and diverse geography is one perk that keeps bringing tourists back for more. Bali's central mountains reach peaks higher than 2,000 meters, or 6,600 feet in elevation. Also, there are active volcanoes scattered all throughout the island. The geography highly determines what activities go on in each part of the island. For example, the elevation on the south side of Bali steadily descends. And this is where more of Bali's rice crops are grown. But on the north side of the island, the mountain slopes are more steeply pushed against the sea. And this is where most of the coffee is produced on the island. And if you are a fan of marine life, the Bali is the best place for you. The island is part of the Coral Triangle, AKA an area that has the highest biodiversity of marine species in the world. In this area alone there are more than 500 reef-building coral species. So for a size comparison, this is roughly seven times more kinds of species than found in the entire Caribbean! 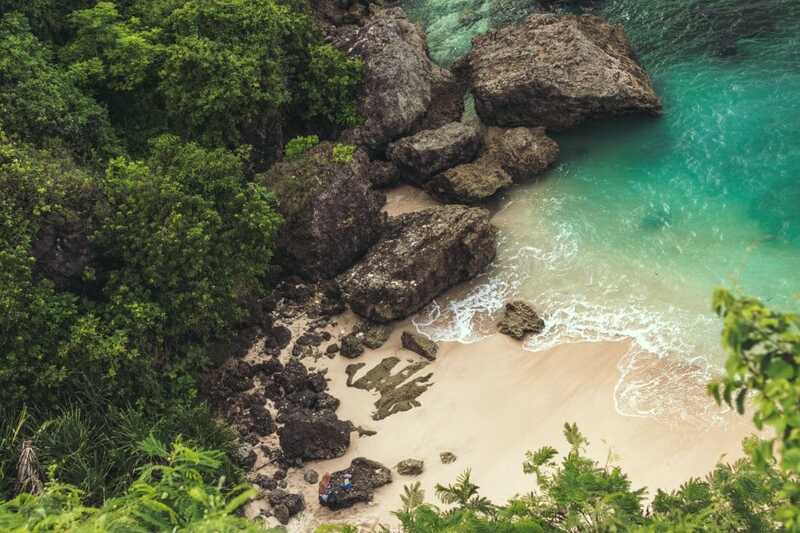 Can you already start to see why Bali, Indonesia is such a desirable place to be? 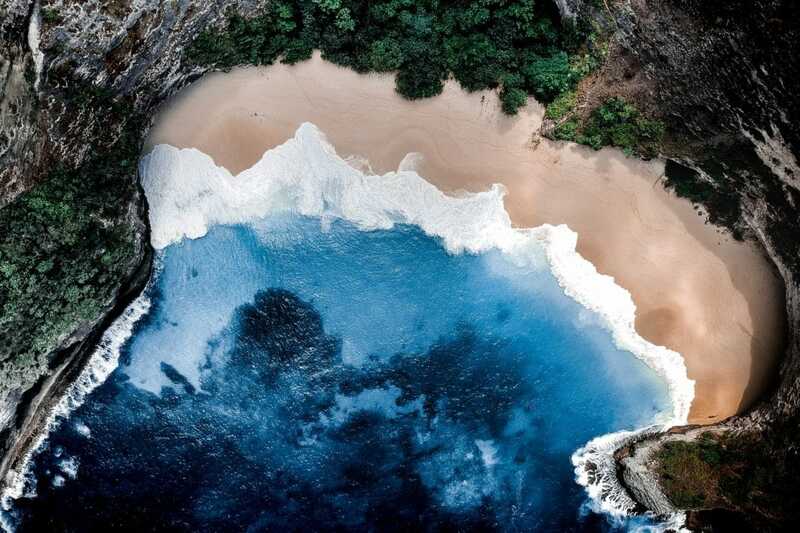 There is no shortage of incredible beaches to check out in Bali. And did you know the island is famous for its surfing? 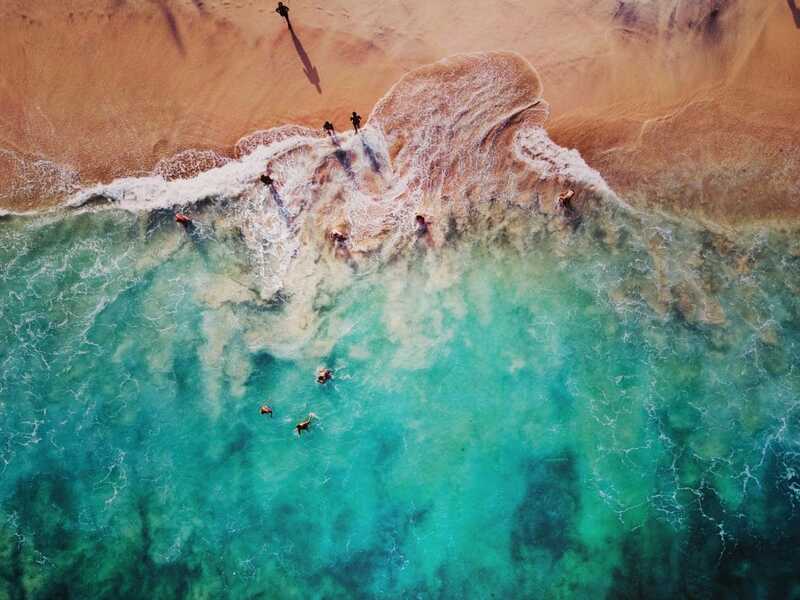 So if you're there, you may as well catch a wave or two. And lucky for you, surf lessons are offered at most Bali beaches, as well as surf boards to rent or purchase. One beach to definitely check out is Crystal Bay. It is a perfect little sheltered cove made up of blue-green waters, sloping palm trees, and rocky shores. And something we really love about Crystal Bay is that it is surprisingly underdeveloped. Therefore, the crowds tend to be a little smaller here. Crystal Bay is one of the best things to do in Bali if you are a laid-back traveler or like to do solo exploring. With only a few bungalows and cafes around, this is a great place to go to get away from it all. Another beach we recommend visiting that is a bit more popular and pricey is Kuta Beach. Tourists will either love or hate the opulent atmosphere. The area is covered with malls, clubs, bars, shops, and plenty of restaurants to treat yourself to. But despite the heavier tourist population, the beaches are still a sight to see. And the waves at Kuta Beach are very popular for surfers. However, the waters can be a little rough, so Kuta Beach is not always great for swimming. One of the most popular things to do in Bali is visiting The Ubud Monkey Forest. And it is not hard to see why. This forest is a nature reserve and Hindu temple in Ubud, Bali. Technically, the official name of the reserve is "Sacred Monkey Forest Sanctuary." 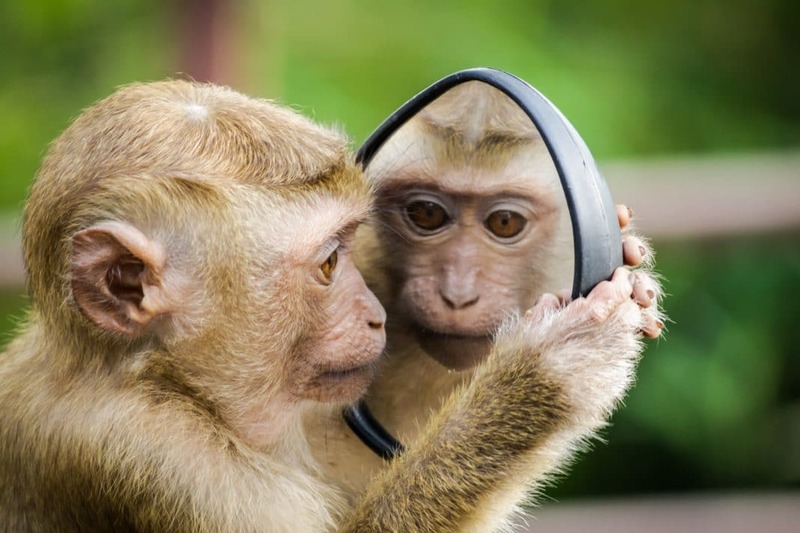 But if you ask anyone in Bali about the monkey forest, they will instantly know what you are talking about. Ubud Monkey Forest allows humans, nature, and wildlife to coexist. The residents of the sanctuary view Monkey Forest as an important "spiritual, economic, educational, and conservation center for the village." In addition to just about 700 monkeys, you will also be able to see up to 186 species trees and other wildlife. As well as gorgeous temples that monkeys like to explore. Fun fact: The Ubud Monkey Forest is visited by over 10,000 tourists a month. So needless to say it is a pretty popular spot. And that's why we are suggesting you go here as one of the first things to do in Bali! Are you a outdoor enthusiast? Do you love a good sunrise or sunset hike? 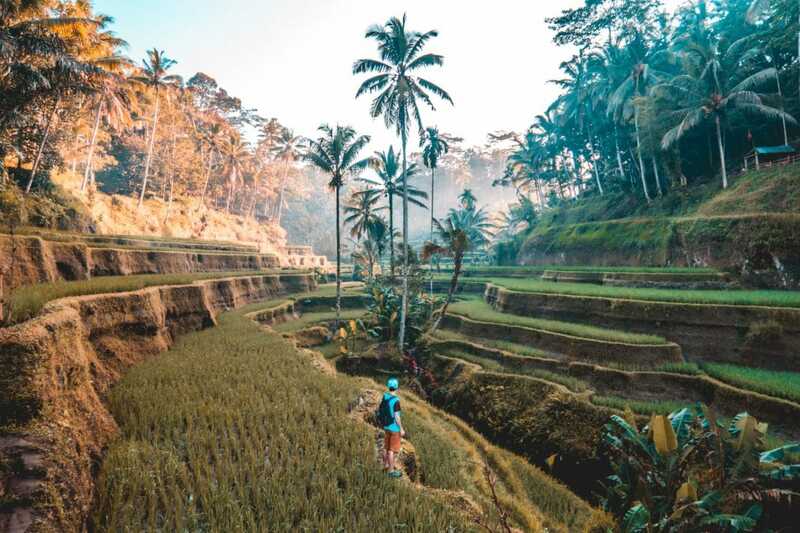 Though Bali is perhaps best known for its beaches and laid-back lifestyle, the island is also full of some pretty great hiking trails. And most of the hiking trails off very different but equally beautiful views, as the island has varying levels to it. One trail that is worth exploring is Mount Batur. Also known as "Gunung Batur," this is easily one of Bali's most well-known hikes. Mount Batur reaches higher than 1,717 meters in elevation. And it also happens to be an active volcano! Most hikers who take on Mount Bur typically choose to leave early in the morning. And that is because Mount Bur is famous for its gorgeous sunrise views. But if you want go on this sunrise hike, we suggest leaving around 4 a.m. That will get you to the top just as the sun begins to rise. Another great place to hike in Bali is Mount Agung. This is the highest mountain in Bali. And it is also considered the most sacred volcano on the entire island. 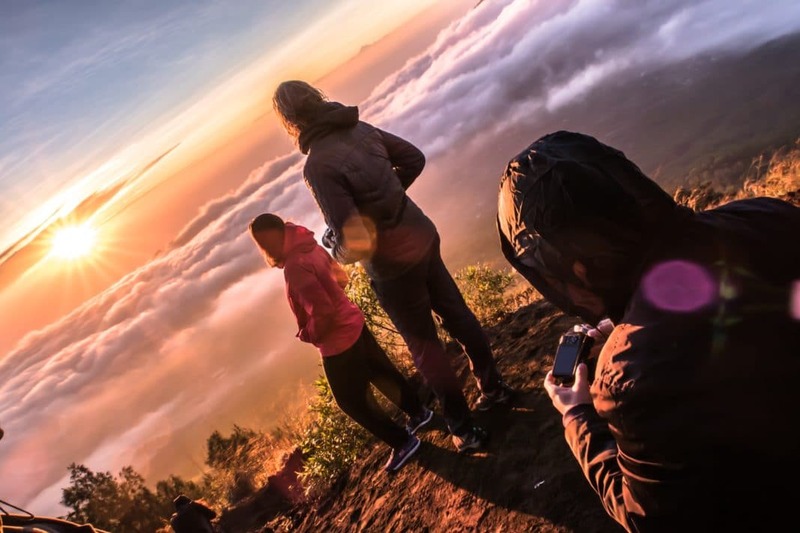 Hikers tend to opt for an early morning hike when taking on Mount Agung, as well. And the view is definitely worth the early rise. But keep in mind that you will have to leave even earlier if you want to catch the sunrise at the top of Mount Agung. Considerin the mountain is 3,031 meters tall in elevation, it can take about 12 hours to hike. That means it will take six to seven hours each way. Also keep in mind it is prohibited to hike Mount Agung during religious holidays. One of our favorite parts about traveling is getting to experience new cuisine. And treating yourself to delicious Balinese dishes is absolutely one of the best things to do in Bali. One dish to start out with is babi guling, AKA "suckling pig." This is probably one of the most iconic Balinese dishes out there. Traditionally this dish was only served as a special food on religious events or holidays. But due to its popularity, it has become a main dish for visitors. Babi guling is a dish of a pig stuffed with seasoned cassava leaves that is then grilled whole over a fire. Come on... That sounds pretty good, right? But if you're not a fan of pork, you may enjoy lawar. This Balinese dish is crunchy mix of vegetables, grated coconut meat,, and minced meat. It is all then mixed with various heady herbs and spices. But the key secret ingredient? Fresh blood. And for something on the sweeter side, treat yourself to bubur sum sum, AKA coconut rice porridge. There is also batun bedil, a sticky rice cake with brown sugar sauce. Or piseng goreng, which is a dessert of deep fried bananas. Honestly, just try them all. You won't regret it! There are countless temples and historical sites to explore in Bali. 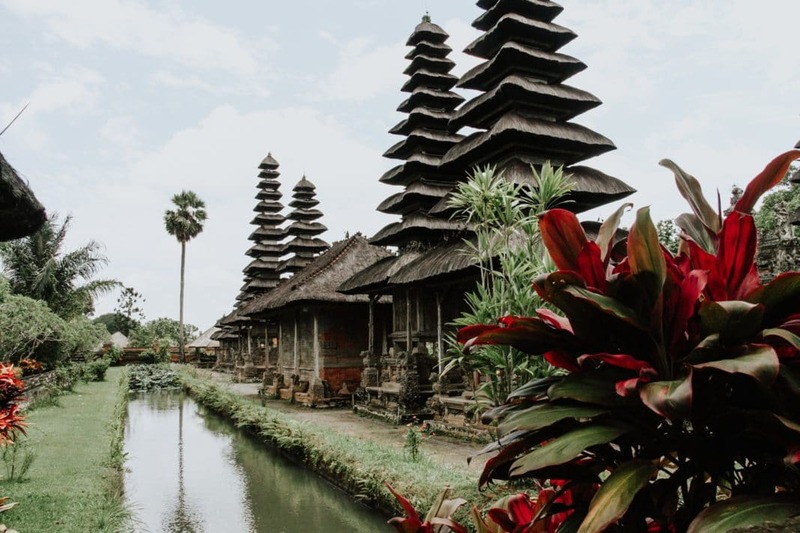 So if you are a history buff that loves getting to know a foreign culture, exploring these temples is one of the best things to do in Bali for you. One well known temple to visit is Tanah Lot Temple. And it is probably one of the most famous attractions in all of Bali. Tanah Lot Temple is a Hindu temple that sits on top of a large, gorgeous, complex rock formation. The sea has separate the rock from the main land over the years. And at high tide, you will see the rock completely surrounded by water. It really is one of the most spectacular sights you will ever see. Sunset is the most popular time of day to visit Tanah Lot Temple. The views are gorgeous then, but keep in mind it will also be more crowded than during the day! Another must-see temple in Bali is Goa Gajah. Though its more common name is simply "Elephant Cave." This temple is an archaeological site with a long history. The cave was originally built as a meditation site in the 11th century. There you will find steps that lead you to a courtyard full of historic artifacts and beautiful rock-wall carvings. This is in addition to a central meditational cave, bathing pools, and fountains. Bali is a great place to be if you want a relaxing, care free vacation. But it is also an excellent place to go to take in some pretty great night life. 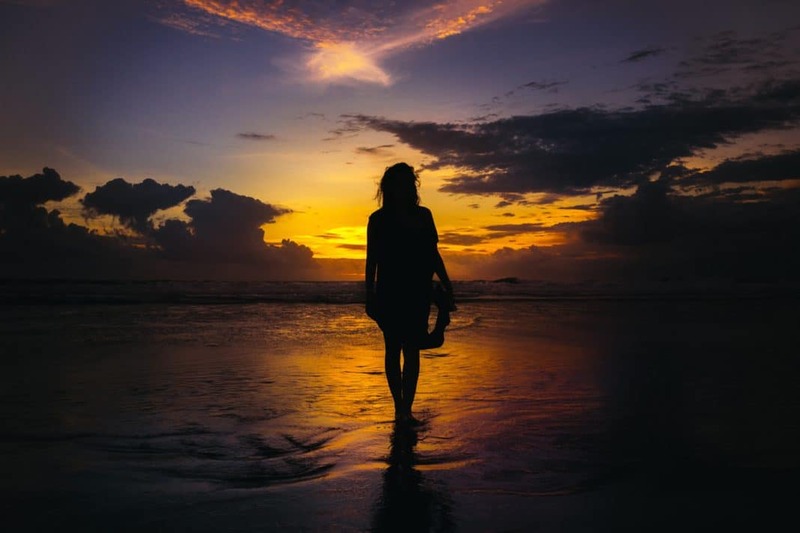 And some of the best night life activities can be found in Kuta. Kuta is a beach and resort area in the southern part of Bali, Indonesia. 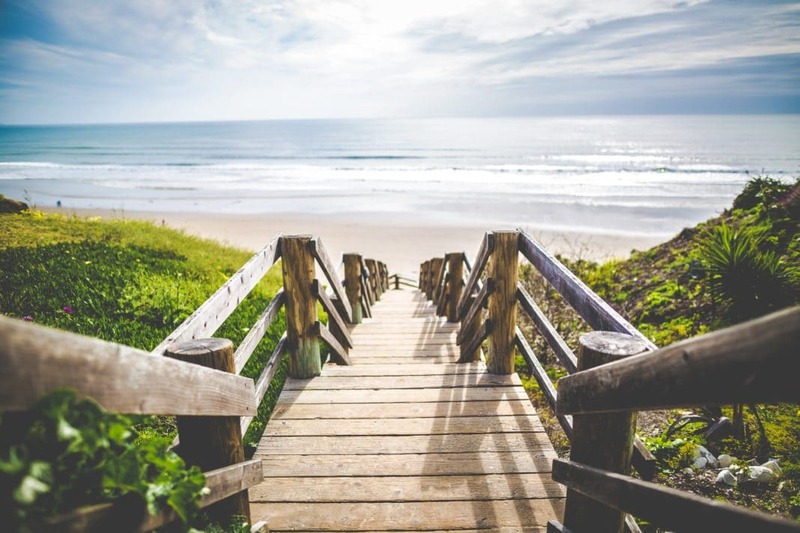 Fun fact: Kuta was one of the first tourists developments in all of Bali! The area is best known for its party atmosphere. Not to mention it is a great place to catch some waves from the Indian Ocean. The area is full of night clubs, live music events, restaurants, cafes, shops, and more. Visiting Kuta is one of the best things to do in Bali if you like a more lavish lifestyle. Kuta usually attracts a younger crowd. But another great place to go for awesome night life is Seminyak. This area typically pulls in a hipper, more refined group of party goers. And it is said this is where most expatriates in Bali tend to hang out. Regardless of which area you choose, you are sure to have a great time enjoying the night life in Bali! It's fun, affordable, and worth the experience. One of the absolute best things to do in Bali, Indonesia is spending a day on Menjangan Island. Set just five miles to the north-west of Bali, Menjangan Island is a small island that is still a part of the Indonesian archipelago. And the name Menjangan" means "Deer" in Indonesian. This is in reference to the flocks of rare wild Javan rusa deer that swim to the island every spring. In fact, some of them travel 2 kilometers to reach the island! The island is a part of West Bali National Park. Throughout the park and Menjangan Island you will find countless species of plants and animals. But the on-land wildlife is only a small part of the Menjangan Island experience. What the park is really best known for is its marine diversity and diving sports. So if you go to Menjangam Island for a day, you can spend your morning traveling through the park with your guide. But in the afternoon, you can hop over to the shore and take a dive deep into the Indian Ocean. Get the best of both worlds during your time there! Menjangan Island is a little piece of secluded, uninhabited paradise. The easiest way to reach Menjangan Island is by boat from Labuhan Lalang, a port in Northern Bali not far from Pemuteran Beach. But it is not as simple as hopping on a boat and reaching shore. To get to Menjangan Island, you will need a park guide. You will also need to purchase a permit. Costs vary on the weekends. That's right. Africa is not the only place to go for an incredible safari experience. You can also enjoy a safari in Bali. And the best place to do that is Bali Safari and Marine Park. This park is made up of a some of the most beautiful flora and fauna in all of Indonesia, in addition to 60 species of animals. There is also a handful of rare and endangered species you may see at Bali Safari and Marine Park. These include the Komodo Dragon, Orangutan, and the Bali Mynah bird. There are a few different types of safaris to choose from at the park. If you have a fondness for elephants, then obviously your number one choice should be the Elephant Back Safari. On this safari experience you will have the opportunity to ride an elephant through an "African-themed Bushveld." Not to mention you will also see the wildebeests, zebras, and rhinoceros that are roaming freely around you. But another great safari option is the Night Safari, which ends with a fire show and barbecue dinner. Other animals you might see are hippos, bears, owl, and so much more! 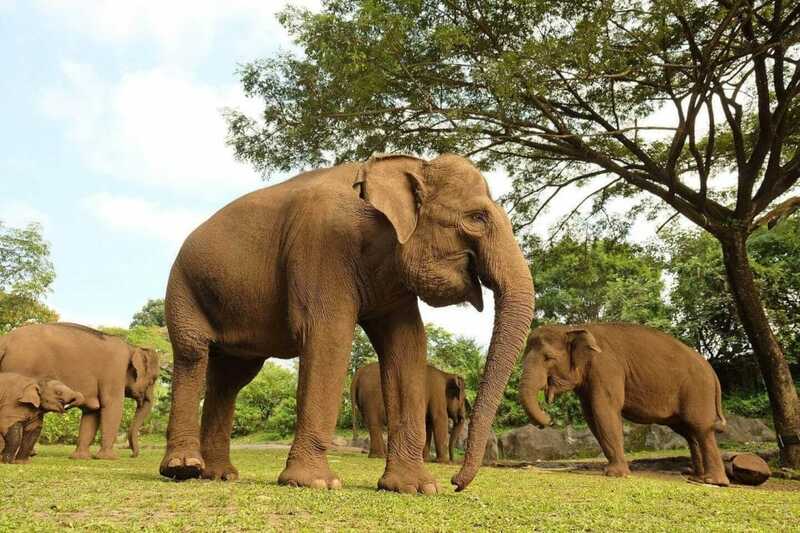 Check out all of the animals and other species you can see at Bali Safari and Marine Park here. We suggest spending most of your time marveling over Bali's outdoor wonders. But if you need a day inside, or just want to get to know the island a little better, then perhaps considering a museum. Some of the museums are some of the best things to do in Bali for tourists looking to get out of the sun for a minute. The first museum we recommend visiting is the Bali Provincial State Museum. Set on the eastern side of Lapangan Puputan Denpasar, the Bali Provincial State Museum is a layout of Balinese history. A variety of exhibition halls showcases and different part of Bali history. The exhibits date as far back to the Mesolithic era all the way to modern day. Inside you will find beautiful paintings, artifacts, statues, and more. There are even weapons, religious items, and musical instruments from the Bronze Age there! Another fascinating museum to check out is the Don Antonio Blanco Musuem. Antonio Blanco was a Spanish national. He was born in the Philippines before moving to Bali and died in 1999. Though Blanco is not from Bali, he was known as one of the islands most important and influential foreign artists. Therefore the museum is filled with his paintings and other pieces he is known for. The museum also showcases some of Blanco's most prized possessions, including a painting he was working on when he died that still stands on his easel. Although some of the most beautiful sites on the island are located in Eastern Bali, many tourists never make it over there. The southern and northern areas of the island are more popular. But if you have the time, taking a trip to the eastern part of Bali is so worth it. There you will find an experience so unlike the rest of the island. Experiences like the former district of Karangasem. Here you will find some of the most incredible places to visit in Bali. This includes Gunung Asung, the Besakih Temple complex, and the Agung Volcano, which had its last eruption in 1963. However, the best known sites in East Bali are Tulamben, Amed, Amlapura, Padang Bai, Candi Dasa, Klungkung. 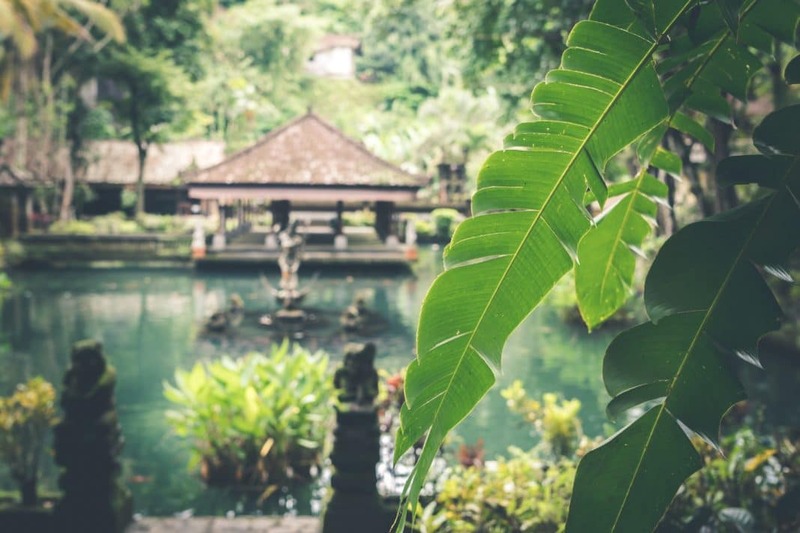 But another incredible site to explore in East Bali is the Tirta Gangga Royal Water Garden. This gorgeous palace, which is close to Amlapura, is not as old as it looks. Built in 1947, Tirta Gangga is made up of gorgeous pools which are fed by the "subak" irrigation system. And you can even swim in some of the pools! It will take about an hour and a half to reach the Karangasem district from Bali's airport. But the visit is well worth the journey. Visiting East Bali is easily one of the best things to do in Bali to get a different look at this Indonesian paradise. This is just the beginning of all the incredible things to do in Bali, Indonesia. We are barely scratching the surface of the long list of amazing sites to see and incredible activities to experience in Bali. But either way, we are sure you can now see why Bali is such a popular place to visit! Whether you love to hike, swim, explore historic sites, or lay out on the beach, there is something for every traveler to do in Bali. Have you ever been to Bali? What did you do while you're there? Leave us a comment and let us know!